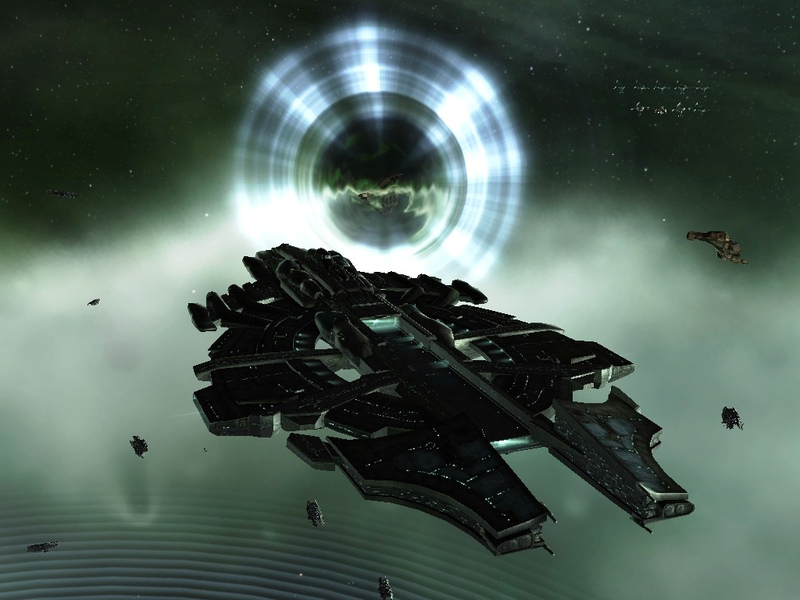 Tournament ships are a rarity in EVE. This isn’t simply due to the fact that for each ship only fifty exist when they’re released, but the risk of using one and losing it can greatly impact the wallet of the pilot flying them. When Pandemic Legion’s Bob FromMarketing lost the first Utu since last year’s Alliance Tournament, it didn’t go unnoticed. Roughly a week before the loss, Bob FromMarketing sold his Cambion, another tournament prize ship, in exchange for the Utu as well as a Malice, yet another prize ship. While discussing the events of the day, Bob stated he had been flying his Malice while camping a station to kill a Noctis, as well as a few other ships, but planned ahead with a triage Archon on standby in case of an attempted hot drop. While doing this, Bob’s cohort in these shenanigans, Tarsas Phage, started to tracking disrupt the Utu Bob had switched to as a slight joke and for some fun in his Sentinel. The two used local repair ships to freely shoot at each other without risking their ships before deciding to have a one on one fight. According to Bob, Tarsas suggested flying away from the system gate they had positioned themselves at but Bob declined thinking he could break Tarsas’ ships and maintain his triage support. Bob_FromMarketing > I was in the middle of a booster cycle and deeper than half armor, so I switched over to lock myself and get ready to triage, while I was also semi aligned to warp and someone asked if I was pussying out. So I just stayed, didn’t triage in time to win and save myself so I ended up dying, and he was one volley from death. It was simply due to hubris and confidence that Bob ended up losing his prize ship. 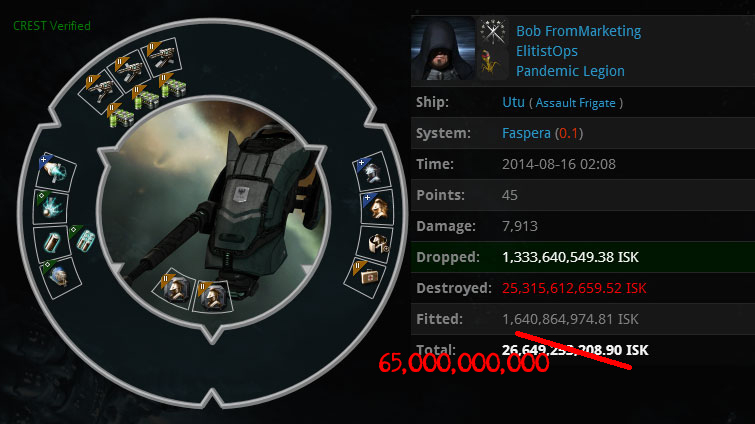 The ship was estimated at roughly 65 billion ISK which, to many of EVE’s player base, is an astounding amount of investment into a single ship and a crippling loss. However this was just a flesh wound for Bob FromMarketing. In fact he’s owned around six of the unique tournament prize ships over his career in EVE. So how does one make that much money to buy such a rare ship, lose it, and still have plenty of money to spend? Well as with all things in EVE, there are multiple ways to find oneself with a fat wallet. Bob’s main money making process comes in the form of buying and selling characters on the EVE Character Bazaar. In his estimation he’s accrued over one trillion isk from around 400 different sales over the past year. That figure alone is impressive, but to keep himself in the black he focuses on a high turnover rate. Each character being sold has a turn around time of just a day from the initial sale thread. At the longest, it takes just a week with a few rare exceptions taking longer. The process of finding a character, determining if it’s worth buying and then flipping it for a profit is a rather simple one. Bob FromMarketing scours the EVE Character Bazaar for a character of low purchase value that he can then sell for an expensive one. For example, he was able to find a character at a value of 13 billion ISK, and turn it into one that is running for 23 billion ISK. A large amount of these sort of characters are super capital pilots, many of whom are eventually seen in some of EVE’s more notorious entities such as the CFC, N3, or Pandemic Legion. For the beginner looking to enter into the character trading business, Bob’s advice is to bring 15 billion liquid ISK, and simply sift through the Character Bazaar forum for characters that are potentially being sought by fellow corp or alliance members. After spending a lot of time looking at the trades and prices for various characters with specific skills, the enterprising character trader can be more accurate with their estimates on pricing their for sale characters. Another service a character trader can provide, is finding and directing character sale threads to friends looking for a specific pilot type. For example, if a player is looking for a Faction Warfare bomber alt, one could charge ISK to find a character for sale on the Character Bazaar that meets the various requirements being sought. The higher the skillpoints being sought, the more one could charge. Bob_FromMarketing > The amount of effort finding a character on the bazaar is usually worth money to people. Especially if you’re after a focused or specific pilot because it requires the same level of scouring the forums. Then I just link the thread and take a cut if it was for money. Finding a good match (people usually ask for a type of pilot, budget, male/female) takes a decent amount of time so charge accordingly.